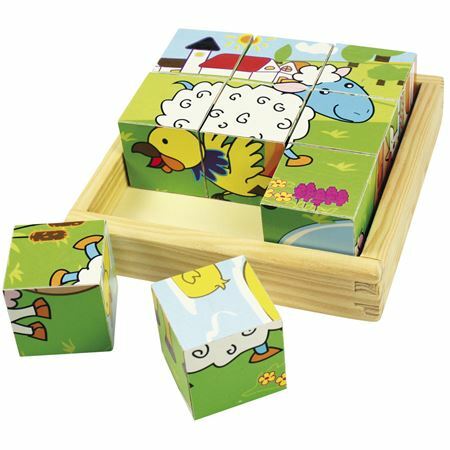 A colourful wooden puzzle from Melissa and Doug with easy to grasp chunky pegs for little hands. 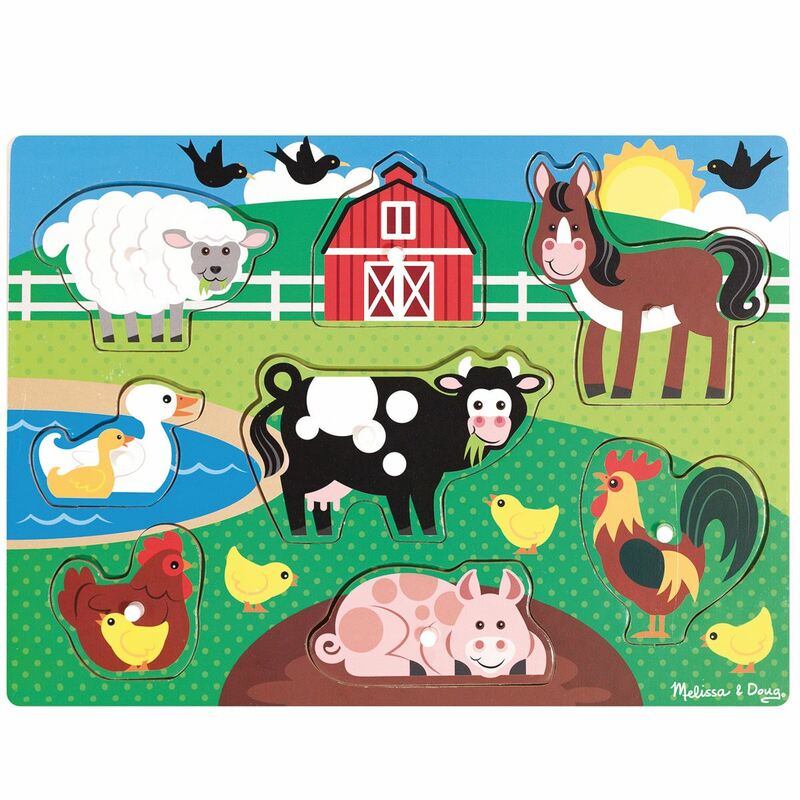 Children will enjoy matching the 6 farm animal pieces to the identical images underneath. Size 29.5 x 22 cms. 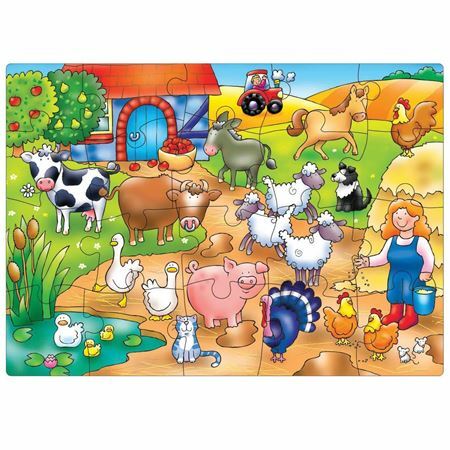 Chunky lift out wooden puzzle in a friendly farm theme. First wooden farm puzzle for younger children. 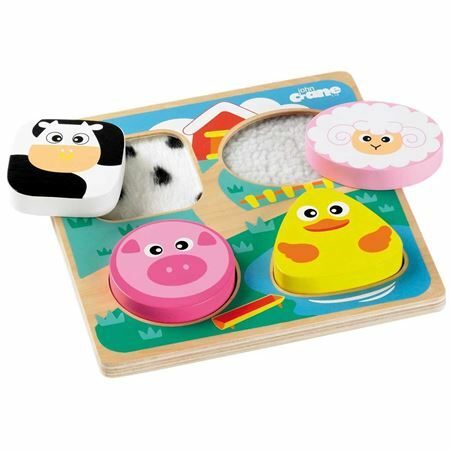 A beautifully illustrated first puzzle with farm imagery, designed to encourage observation and discussion by Orchard Toys.